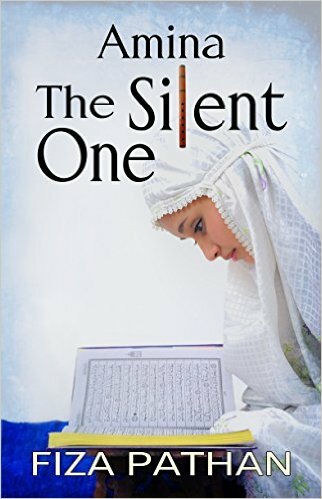 In Amina: The Silent One by Fiza Pathan, Amina is known in her family as the silent one. She seldom speaks. With two older sisters, a mother and a grandmother all talking non-stop, it’s understandable that the third daughter would be the quiet one. Amina does communicate, however, in a language that is more powerful than the spoken word. Amina communicates through her music. She is, surprisingly, a musical prodigy and her flute, her instrument of choice because it is the only one her father could afford to give her, transports herself and all who listen to a world of wonder. In the poor ghetto where life is a daily struggle for mere survival, Amina provides a source of beauty for all who can hear her music. And, for Amina, music becomes not only her solace, but also her saving grace. When her mother and sisters are killed tragically in a terrorist bomb, Amina buries herself in her music. As a young woman, forced into an arranged marriage, Amina must endure the unthinkable and it is only with her music that she can truly escape. And, through her music she can forgive, but never forget. Music is, after all, the most powerful means of communication and, although Amina is the silent one, she finds a deeper beauty that speaks through her silence and touches the heart and soul of all around her. Amina’s story is just one story in the sad plight of women in India. Parts of her story are as shocking as they are tragic. Author Fiza Pathan presents the reader with greater insight into the sad fate of India’s women and reveals a revoltingly unfair world that many of us can never fully understand. This story is a very powerful and insightfully troubling one that addresses the plight of women in India.